My friend mentioned something a while back about me writing up a blog post about finding love in coffee in Taiwan and since I’m now living in Taipei up from Tainan I thought that I would finally get around to doing that. These coffee shops and places to buy coffee for making your own cup of joe are nearby where I’m currently living in the Da’an District of Taipei. However, since Taipei is quiet easily navigated by public transportation its easily accessible for anyone in the general Taipei area. A great place to word and relax in peace, the inside of the cafe is restricted to no talking, however just outside they have a small sitting area where you can chat at quiet voice. There coffee and prices are pretty good for Taipei and the area. A great place to have lunch with your friends, or to get some work done. Good coffees, but a little expensive. Their menu is good and extensive. GREAT CINNAMON ROLLS TOO! A great place to have lunch with your friends, or to get some work done. Good coffees, but a little expensive. Their menu is good and extensive. You can easily relax her and focus on what you want to do. The cheapest and best value cafe on my list, and for that reason it is my favorite cafe or coffee shop in Taipei. There small but good menu and prices keep me coming back again and again. The great staff only adds to the aura of the cafe. 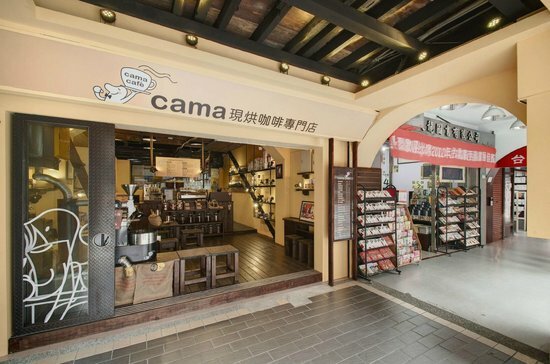 You can’t travel or live in Taipei any amount of time without noticing the abundant amount of Cama Cafes darted around the city, that is for good reason. Cama has decent coffee at really love and constant prices and quality. Menus in English and constant, just as most places in Taipei and Taiwan tend to have. Freshly baked goods ranging from donuts, cakes to acai bowls. Their food is great as well as their coffee. Very instagrammable if that is what you are looking for as well. Make sure to check this great cafe out. If you’re really a coffee lover, then this is the place for you. The coffee is expensive, however you have an extensive list of choices from all over the world to choose from and how you want your coffee brewed. You can taste, smell and try out different coffee beans that you may want to buy. Cheap and great coffee, lots of choices and still maintains a great environment with great coffee. You can also buy their great coffee here to in whole bean form. In addition, to their great coffee they also do great latte art as well. A great coffee shop, has two locations one near Daan station and one near Nanjing Sanmin. This place has cheap and quality coffee, with lots of different choices from standard coffee to pour over single origin coffee. They even offer a geisha for only 90ntd. A great coffee catering to the specialty coffee lover, offering lots of choices from the low end to the ultra high end of the coffee spectrum.